Excellent Condition, ONLY 23,207 Miles! 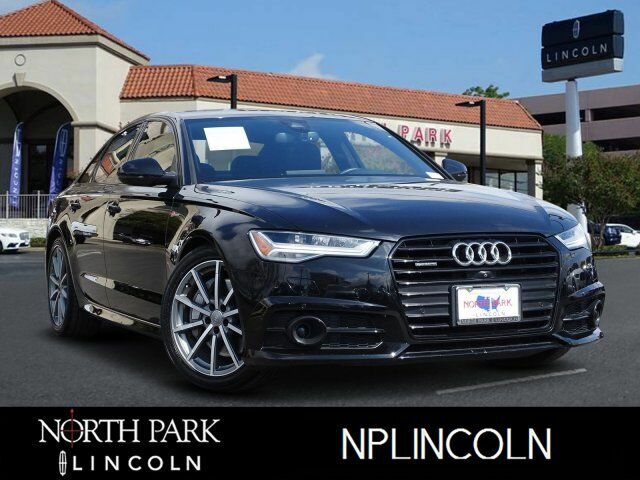 Nav System, Moonroof, Heated Leather Seats, Rear Air, Satellite Radio, Premium Sound System, Supercharged, All Wheel Drive, LED HEADLIGHTS, AUDI GUARD ALL-WEATHER FLOOR MATS (SE... READ MORE! Leather Seats, Navigation, Sunroof, All Wheel Drive, Rear Air, Heated Driver Seat, Supercharged, Premium Sound System, Satellite Radio, iPod/MP3 Input, Bluetooth, Chrome Wheels, Keyless Start, Dual Zone A/C, Cross-Traffic Alert MP3 Player, Keyless Entry, Remote Trunk Release, Steering Wheel Controls, Child Safety Locks. DRIVER ASSISTANCE PACKAGE High Beam Assist, Audi Active Lane Assist When the system detects that the driver is leaving the lane without signaling, the car, through gentle, corrective steering efforts, will assist the driver to remain in the lane, Additional steering wheel vibration also occurs, as well as hands-off steering wheel detection which will disable the system completely, System works w/side assist to help prevent turning into vehicle in blind spot, Adaptive Cruise Control w/Stop & Go Functionality, 20-95 mph operation w/coast, 4 distance settings, stop & go functionality, resume and accelerate features, Stalk on steering column, speed shown in driver information display w/enhanced braking guard (ability to initiate a full stop below 19 mph), Audi Pre Sense Plus, Top View, LED HEADLIGHTS, COLD WEATHER PACKAGE Heated Rear Seats, separate controls in rear of console, Heated Round Multifunction Sport Steering Wheel Deletes flat bottom steering wheel on A6 Competition, 3-spoke w/shift paddles (without logo), AUDI GUARD ALL-WEATHER FLOOR MATS (SET OF 4) Black rubber mats w/A6 logo. 2017 Audi A6 with Mythos Black Metallic exterior and Black interior features a V6 Cylinder Engine with 333 HP at 5500 RPM*. Non-Smoker vehicle.